Description Skye, Skeabost Island Church and Churchyard. General view of effigy of knight/kilted warrior. >>>>> Item Level (SC 1471995) Skye, Skeabost Island Church and Churchyard. 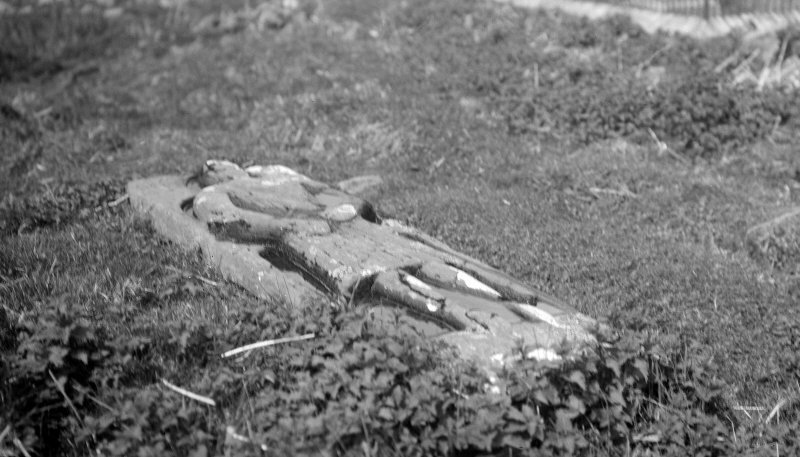 General view of effigy of knight/kilted warrior.